September 2009 -- Our band, “Rockin’ The Paradise” is a high-energy, theatrical tribute show to the greatest band in the world, “ STYX ”. For over three decades, STYX has remained a staple on the radio and concert scene domestically and internationally as one of the greatest groups in rock music. “Rockin’ the Paradise” focuses on Styx’s trademark high-pitched harmonies, mixed with the dual-guitar assault of James Young and Tommy Shaw, the Panozzo brothers’ solid rhythm section as the driving force of talent and Dennis DeYoung’s influential, flashy keyboards…Come Sail Away, Renegade, Lorelei, Lady, Grand Illusion, Fooling Yourself, Don’t Let It End, Crystal Ball, Snow Blind, Babe, Why Me, Lady, Lights, Light Up, Mr. Roboto, Sweet Madam Blue, The Best of Times, Blue Collar Man, Not Dead Yet, and of course Rockin’ the Paradise are just a few of the many high-end radio songs lingering in our deep hearts and minds forever. Our base is New York City and it takes very special musicians to take on Styx’s often intricate music in a talented area of the world. Our Group Rockin’ the Paradise offers you the extreme best; the members of the band having many solid years of national and international touring experiences not only musically but even on Broadway! Rockin’ the Paradise’s lead singer, Jim Vignato flawlessly recreates both Dennis DeYoung's and Tommy Shaw’s impressive vocals, while keyboardist John Pagliarulo thrills audiences using stacks of synthesizers to reproduce DeYoung’s famous keyboards with flair and vigor. Chris Iazzetta and RJ Jenkins lead guitarists emulates with precision the technique of the guitar riffs that made Tommy Shaw and James Young guitar masters. Rounding out the band, driving the beat is the thunderous and at all times boisterous rhythm section--bass guitarist and backing vocalist with 20 years experience, Paul John Cruz…Famous in his own right and masterful Drummer Mr. Sean Minardi’s rare and excellent singing backing vocalist is indeed an honor and asset to this successful tribute. Together, they truly have collective soul and give it there all. Styx fans will fall in love with Jim Vignato’s lock-down on Dennis and Tommy's voices and grandeur looks. Our Rockin’ the Paradise Show recreates all of Styx Greatest Hits spanning three decades with a faithful, distinctive sound that instantly ignites audience’s memories and brings them to their feet! 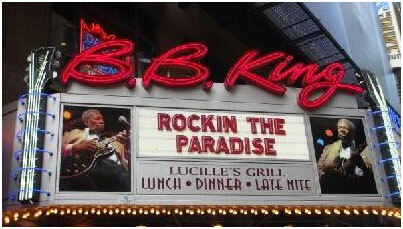 We have experience performing at Trump TajMahal and Bally’s Hotel and Casino in Atlantic City , Empire City Casino, Mohegan Sun, Jones Beach Band Shell and the headlining act at BB King Blues Club in Times Square during the Summer 2009.